Does the fluctuating Spring weather delay your completion of a vegetable or flower garden? If so, there is still plenty of time to add new plants you’ll can enjoy this Summer. 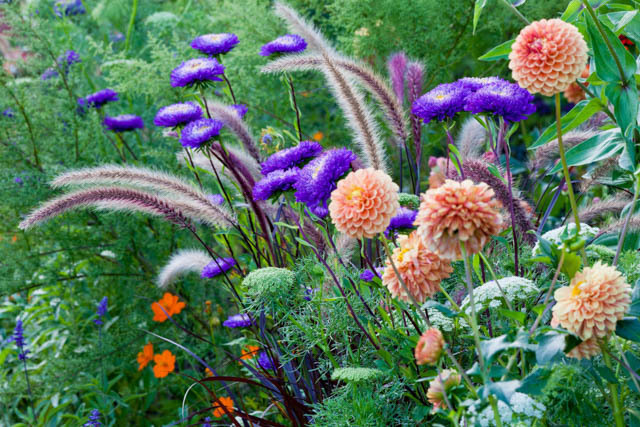 We have a few suggestions on what to plant in your garden. Before you start your garden or supplement an existing one, know your plant hardiness zone. This will help you determine when to start planting and when to wrap things up. The frost-free growing season for Indiana is tentatively 163 days (April 27 – October 7). Vegetables are either cool-season or warm-season plants. Cool-season plants have a growth cycle from early Spring to early Summer and then again in the Fall. Warm-season vegetables have only one cycle, from late Spring to late Summer. Generally, plants grown from seeds are started indoors and transplanted at the appropriate time. This gives them a strong start in the garden. Cool-season vegetables are wrapping up now. Asparagus, cabbage and spinach are beginning to fade as temperatures rise. Some cool-season varieties can carry over into Summer but they will eventually be affected by the heat. Radishes turn fibrous and develop a sharp taste when subjected to the sizzling summer sun. If you couldn’t start your seeds for warm-season vegetables in early Spring, buy established plants at your local garden shop. Many warm-season varieties take too long to mature to grow from seeds now. For example, watermelon takes three months to mature from seed to harvest. You wouldn’t be able to enjoy the fruits of your labor before the Fall. Honey, Have You Seen My Pruner? Planting vegetables isn’t the only gardening activity this Summer. Flowers, shrubs and trees all demand our attention. Whether it is adding new plants to your landscape or remembering where you left your pruner, there is plenty to do. Here’s a quick rundown. Trim Spring flowering shrubs and trees – Once they stop blooming, cut them back. Fertilize roses – Check for pests and diseases. Start fertilizing your roses throughout the Summer. Attach supports to tall perennials – Keep leggy plants from toppling over with plant supports or stakes. Pinch chrysanthemums – Trim the tips to keep them bushy. Sow seeds – Plan to have ornamental kale and flowering cabbage in Fall. Divide plants – Thin daffodil bulbs every three years. Divide irises, primroses and arabis. Share cuttings – If you want to get rid of the plants you divide, share with friends and neighbors. Add compost – Spread a layer over your beds and work into the soil. Mulch – Add fresh mulch to supplement what you already have in your beds. Set out birdfeeders – If you haven’t done this already, the birds are waiting! Spending time outdoors in your garden is one of the most relaxing activities you can do. It has been found to lower stress and improve physical health. Whether you grow vegetables in containers or in raised beds, treat every new plant or technique as a learning opportunity. The best thing you can do for your garden is to enjoy it. From tree pruners and Honda tillers to wheelbarrows and shovels, our expert staff can help you take care of your gardening needs. Are you more interested in herb gardening than vegetable gardening? Our blog, A Message to the Beginner of Herb Gardening, can get you started in the right direction. As always, if you have any questions about what to choose, pricing or how-to’s, don’t hesitate to contact us. Stop by our store — we’re open seven days a week.